On Tuesday, March 24 at 2:30 p.m. in room 204 of Falvey Memorial Library, Helene Moriarty, PhD, RN, Professor at the College of Nursing will present a Scholarship@Villanova/Endowed Chair lecture. Dr. Moriarty is a nurse advocate for military veterans and their families who has targeted her scholarly work on the health needs of those who have served in the military. 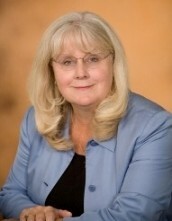 Her lecture will focus on her research with interprofessional teams at the Philadelphia Veterans Affairs Medical Center. She will present findings from an intervention study, funded by NIH, that evaluates the impact of an innovative in-home intervention for veterans with traumatic brain injury and their families. Dr. Moriarty is the inaugural appointee to the College of Nursing’s first endowed faculty chair, the Diane L. and Robert F. Moritz, Jr. Endowed Chair in Nursing Research. This award was established in 2013 by Robert F. Moritz, Jr. DDS ’51 VSB and his wife Diane to advance research and scholarship within the College and its academic programs. This event, co-sponsored by the College of Nursing, Falvey Memorial Library and the Army Reserve Officers’ Training Corps (ROTC), is free and open to the public. For more information related to Dr. Moriarty’s area of expertise, check out today’s Dig Deeper, organized by Barbara Quintiliano, nursing and life sciences liaison and an instructional services librarian. Even mild traumatic brain injury (mTBI), commonly termed a “concussion,” can have detrimental consequences for returning veterans, their spouses and others who love and care for them. However, unlike more severe cases, mTBI often goes undiagnosed, and resulting cognitive and emotional problems may not appear until long after the vet returns home. Some of the challenges associated with mTBI include short- and long-term memory loss, attention deficits, impaired executive function and strained interpersonal relations. Dr. Moriarty and her colleagues have been conducting innovative research sponsored by the Philadelphia VA Medical Center and funded by the NIH. In this controlled study they are investigating the efficacy of a veterans’ in-home program (VIP). Dyads composed of a veteran who has sustained mild to moderate TBI and his/her spouse or partner are recruited for participation. Through in-home intervention the researchers hope to facilitate increased understanding and deeper communication between veteran and partner so that both will enjoy an improved quality of life. Dig Deeper introduction written and resources selected by Barbara Quintiliano, nursing and life sciences liaison and an instructional services librarian.